The biggest issue is that on a Saturday morning there is a lethal mixture of shoppers – including families – & traffic between 9 & 10am. There should be NO traffic at all allowed on a Saturday morning. 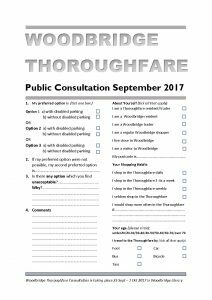 Caroline – do you know if any research has been done around applying a similar model to that of Felixstowe high street? (basically making it an assault course of planters, seating, bike racks etc, with no defined road or footpath). 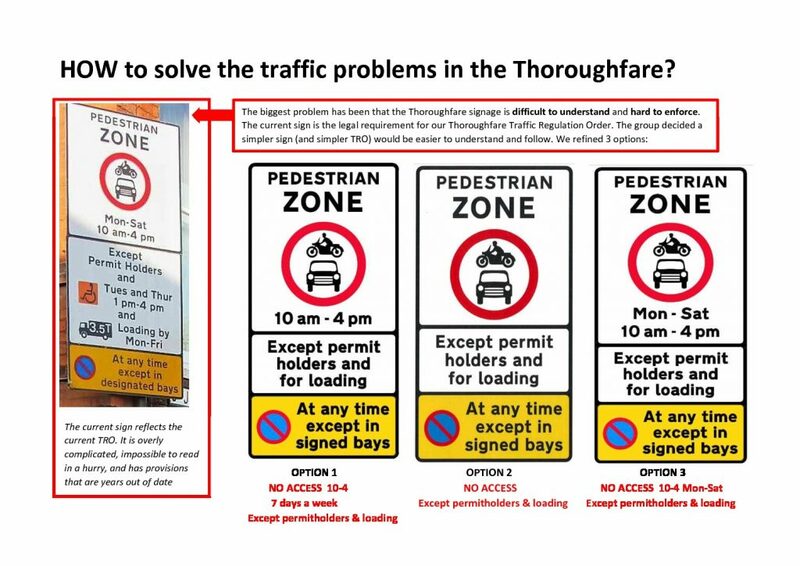 It seems to have worked there – vehicle access is possible, but it’s such as hassle that most people choose another route. However, the space is much wider in Felixstowe, so I’m not sure how this would translate to Woodbridge. If it was viable, it would mean the signs, regulations, and enforcement wouldn’t be required at all.